Sue O’Brien joined Ridgeway Partners as a partner in 2015 to lead the Retail and HR practice and work with the Board practice team. Sue was the former CEO of Norman Broadbent PLC. She is actively involved in board search across a consumer focused portfolio, with particular expertise FTSE Group HRD appointments. Sue is a board member of Walpole British Luxury, an NED for ComeRound Experiential Marketing, a founder member of The Women’s Business Council, Chairs the Commercial Advisory Board for The Tissue Bank Cancer Research charity, as well as being a Trustee for KidsOut. 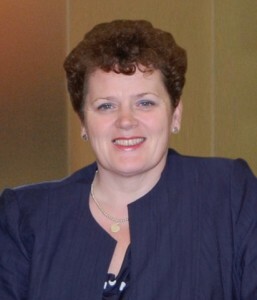 She mentors and provides executive coaching to a number of FTSE clients. In the January 2014 New Year’s Honours List, Sue was awarded an OBE for services to Gender Equality in the Workplace and voluntary services to the community.